Must give the organiser Taipei Ethereum Meetup a big clap. A great line up of speakers, right balance between technology and business discussion, punctual and smooth arrangements — for for free. 100 out of 100. Plus the free lunch and drink, 101 out of 100. Like a small fans and unlike in University classes, i sat at the very first row to listen to Vitalik Buterin’s talk on Ethereum 2.0. i’ve briefly read the information before but haven’t quite got it. This time i listened again, still just understood probably half of it. Old guys like me will need to study a lot harder to keep up with the younger generation. Lane Rettig’s talk on Ethereum Kawaii — discussed how to improve the UX of Dapps to the extent that even his grandma will use them. Also raised the concept of DX, Developer eXperience, which includes typical interfaces such as file storage and messaging, both of which are easy on centralised architecture but very tricky in a decentralised environment. An AWS of blockchain is needed. Vlad Zamfir’s talk on Blockchain governance — explained how Ethereum development team made decisions, e.g. how to decide whether to hard fork in the DAO crisis and now Parity’s multisig contract bug and what the concerns are. Hard to see articles equally informative on the Internet, let alone the local media. Kyber Network — — DEX, Decentralised EXchange. Solid team building a solution which the problem is waiting for. Will definitely give it a try when it’s launched next year. Founder Loi Luu is from Vietnam, while the team is headquartered in Singapore. imToken by Ben He— is in my opinion one of the most useful Ethereum wallet on mobile. Introduced in the talk, version 2.0 adds multichain, instant exchange service, token sales and etc. The future is bright for imToken. Team is from Hangzhou, with legal set up in Singapore. Taiwan has always had a large supply of technical talents, and are currently at like half of the cost of that in Hong Kong and China. Now in front of the blockchain wave, with elements like technology, media, exchanges and events all here, the community is vibrant. Simply in recent two weeks, there are five blockchain events, all up to a certain quality. Whereas in Hong Kong, the blockchain related events seem to focus on Bitcoin, and from the perspective of investment. Don’t see too many technical events around Ethereum and other blockchains yet. And it seems there are not as many startups around blockchain. When i said seems i mean there do exist a few big blockchain startups who called themselves Hong Kong companies, but apparently they are referring to legal set up. Nevertheless, the talent pool of Hong Kong is surely lacking behind that of Taiwan. Compared with Singapore which unambiguously supports Fintech and blockchainhas, has attracted companies like Kyber Network and imToken, and Vitalik himself, Hong Kong is simply knocked down. And to China, merely not comparable. Not that i have a low self-esteem, but i believe in the Chinese saying, having a sense of shame is a form of bravery. 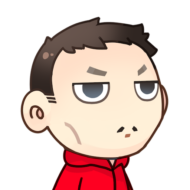 In my 3.5 days trip to Taipei i ran into quite a number of foreigners, some were having in a short trip, some are based here, while some are staying for good. A few of them spoke Chinese — Mandarin i mean, but luckily one did spoke a few words in Cantonese. To my pleasant surprise, i saw a signature of foreign attendee in Traditional Chinese. But none of these was more encouraging than Vitalik’s respect on local culture. 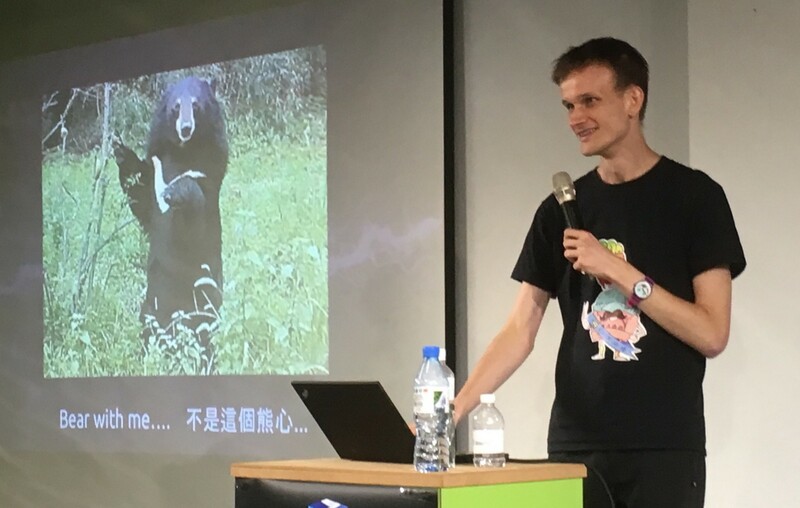 Not only did Vitalik opened his talk in Mandarin, the slides were all in both English and Traditional Chinese. It felt warm to me. It is a big contrast to the “tradition” of tech and business events in the past 20 years. One more thing. This Taipei trip of mine lasted for less than 100 hours. Before i departed from Hong Kong, ETH to USD was 360; before i departed from Taipei, ETH to USD was 470. i strongly believe this is only the beginning — i don’t comment on price as usual. i’m referring to the technical revolution itself.